Traditional water-side surfaces like concrete or wood decking are often unsafe and not as attractive as lush, green grass. ForeverLawn has designed the perfect solution for pool areas and water parks, SplashGrass. SplashGrass is an attractive, drainable, safe surface that offers unique benefits for residential pool areas, water play areas, and landscaping within commercial water parks. 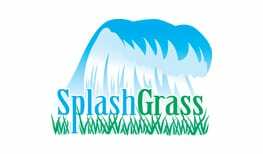 Contact us to find out more about SplashGrass and how it will benefit your residence or business.